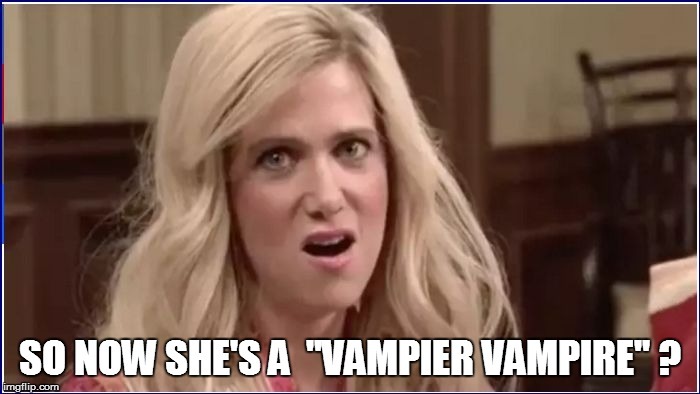 I believe there is no such word in English as VAMPIER. My mistake - I meant within the strict context of the original meme. Actually, the subject of vampires started boring me to heck about the time Snipes starteddoing those BLADE flix. Because it's Dash I'll forgive you that indiscretion. So how do you spend your weekends when I'm not around? I know you sit and think, but you can't do that 24/7. Do you just get mad in general? Or about something on quotev? 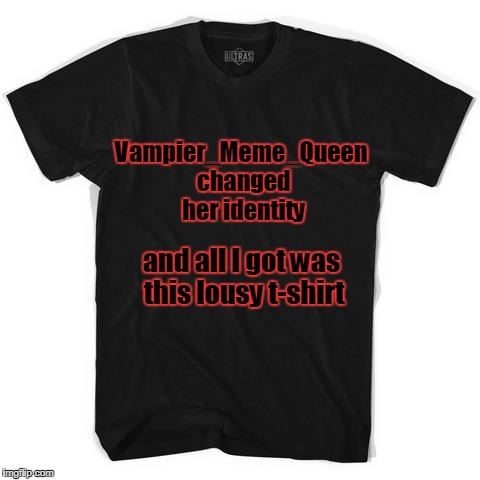 Or because no one's on imgflip?